Former finance minister Trevor Manuel. 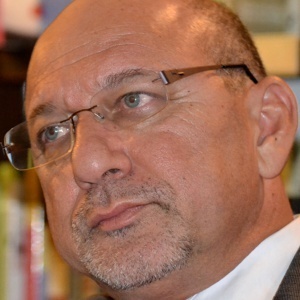 Former finance minister Trevor Manuel is to take the Economic Freedom Fighters (EFF) to court over claims it made ahead of the appointment of new SA Revenue Service (SARS) commissioner Edward Kieswetter. Fin24 has reliably learned that Manuel has "filed papers" over what he has previously said were "libellous" statements against him in terms of Kieswetter's appointment. Manuel was the head of the selection panel appointed by Finance Minister Tito Mboweni to interview potential candidates for SARS commissioner and make recommendations. Ahead of the announcement of Kieswetter's appointment, the EFF issued a statement containing various allegations against both Kieswetter and Manuel - among them that the two were related and had a "close business relationship". At the time, the EFF said it sent a letter and parliamentary questions to President Cyril Ramaphosa and Mboweni in February this year, specifically asking why they were conducting the SARS commissioner selection process "in secret". The Black Management Forum (BMF) had also previously expressed concern with what it deemed to be a "rushed and guarded" recruitment process in appointing a new SARS commissioner. When Kieswetter was subsequently officially announced as the new SARS commissioner, Manuel said in a short statement that he would not be abused by "schoolyard bullies" and that statements by EFF MP Mbuyiseni Ndlozi were "false", "racist" and "libellous". He said the EFF needed to provide proof of the allegations they had levelled against him and he called on Ndlozi to retract the statements. Failure to do so would result in legal action, he said at the time. Despite several attempts to reach Ndlozi, his phone remained unanswered at the time of publication.